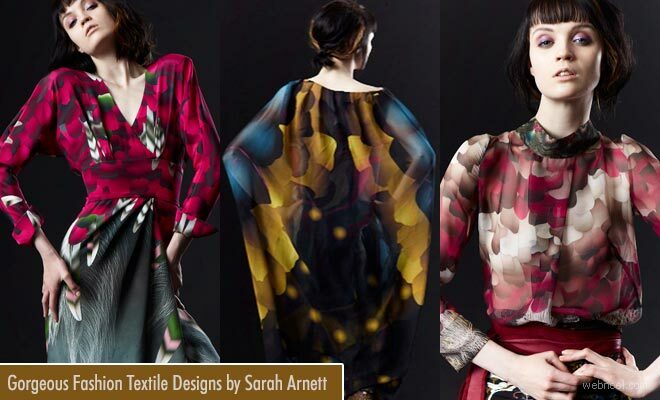 Fashion Design : Sarah Arnett is a UK based freelance illustrator and textile designer who stays in Brighton. Her designer dresses are normally stocked in a range of high-end boutiques, including Whistles and Harvey Nicholas. Sarah’s illustrations develop from hand-drawn and are then digitally illustrated. Studying and interpreting flowers, foliage, land & skyscapes are the starting point of any project. Sarah’s love of gardening and botanical gardens is key to her work. Every piece from lavish dresses in trompe L'oeil print and tunics over wide legged pants express a tactile blast of shading. Sarah big excitement is colour, in her words, " It's my real passion".